If you have been diagnosed with prediabetes, know that you are not alone—it’s a disease that affects 84.1 million Americans. 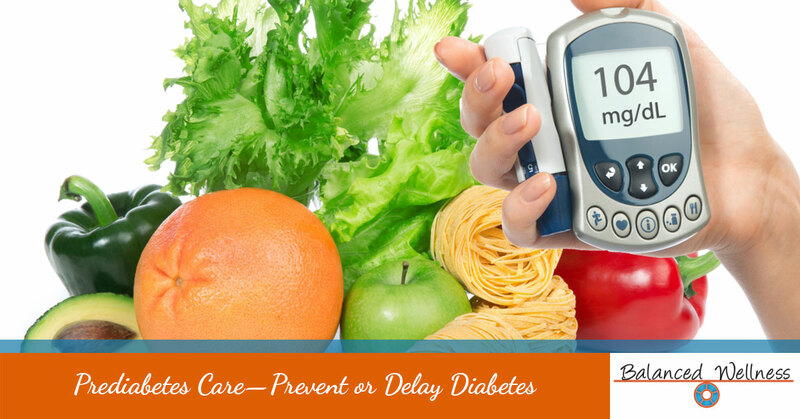 Being diagnosed with prediabetes does not necessarily guarantee the advancement of type 2 diabetes. Through a balance of healthy eating, exercising, and lifestyle choices, it is possible to prevent, delay, and—some believe—even reverse the progression of diabetes. As a group of passionate wellness coaches and health experts, Balanced Wellness is committed to helping all individuals achieve their optimal well being. In our last blog, we talked about diabetes prevention and how healthy lifestyle changes can greatly reduce your risk of getting diabetes. In this blog, we would like to turn our focus to discussing those lifestyle changes and how we can assist in your journey. Though it’s not necessary that those at-risk become vegetarians, there are great benefits to significantly upping the amount of fruit and veggies consumed. Fruits and vegetables promote healthy weight, reduce your risk of cardiovascular disease—a common complication for those with diabetes—and they can improve your body’s ability to respond to insulin, which can trigger a delay or reversal of diabetes. Need assistance developing a healthy diet plan? We can help! Learn more about our meal planners and wellness programs here. After being diagnosed with prediabetes, it is essential to keep a close eye on your blood glucose levels. This measurement is perhaps the most important metric to follow. 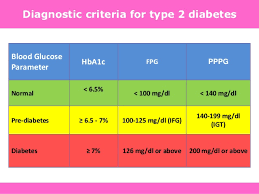 As you can see in the chart to the left, keeping your blood sugar level in the prediabetes range—and ideally in the normal range—is one of the top goals of your prediabetes treatment. If you have been diagnosed with prediabetes or fear that you could soon be, monitor your blood glucose level at least once every three months. According to the CDC, those diagnosed with prediabetes should aim for at least 150 minutes of exercise per week. Whether you decide to accomplish this exercise in three 50-minute sessions or six 25-minute sessions, make this end-goal part of your week’s routine. When you become more active, your body is able to maintain better blood sugar control. The combination of exercises—like walking, aerobics, etc.—coupled with resistance training—like weightlifting or yoga—often yields the best results. Need help developing an exercise schedule or meal plan? Our health coaches are here for you! Utilizing a CDC-recognized wellness program specifically designed for preventing diabetes, we can help break down your wellness plan into manageable and achievable preventative steps. Learn more here. If you have been diagnosed with prediabetes, it needs to be taken seriously. Frequent exercise, healthy eating, diligent monitoring, and following recommended treatments all must become a part of your daily routine. If you need help implementing and adhering to these big changes, contact Balanced Wellness. Our wellness coaches understand these struggles and how to overcome them. Whether you need help to stop smoking or assistance tailoring a diabetes wellness plan, it is our goal to provide comprehensive, yet cost-effective and easy to understand, health and wellness programs. Contact us today to learn more!